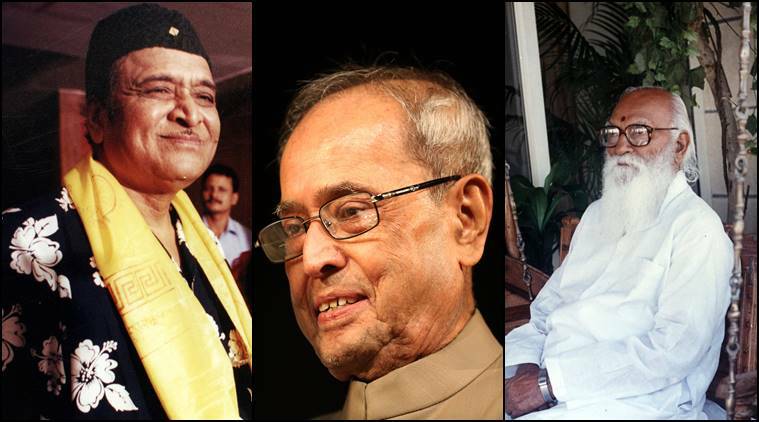 The 2019 Bharat Ratna award has been bestowed upon former President Pranab Mukherjee, social worker Nanaji Deshmukh and singer Bhupen Hazarika. 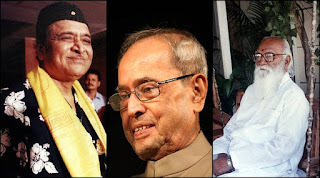 Nanaji Deshmukh and singer Bhupen Hazarika were awarded Bharat Ratna posthumously. A veteran congressman, Pranab Mukherjee had held various key portfolios like Finance, Defence and External Affairs as Union Minister. He is an outstanding statesman of the present time. Pranab Mukherjee was born in a Bengali family. Pranab Mukherjee earned an MA degree in Political Science and History and LL.B. from the University of Calcutta. He has also served as a Professor of Political Science at Vidyanagar College in West Bengal. Before entering Politics, he was working as a journalist with 'Desher Dak'. Nanaji Deshmukh laid great emphasis on education as a social worker. The first Saraswati Shishu Mandir was established by him at Gorakhpur in 1950. He was a member of RSS and also served as General Secretary of Bharatiya Jana Sangh. Nanaji Deshmukh took part in Jai Prakash Narayan movement during the Emergency. He got elected as a member of Lok Sabha from Balrampur in 1977. He has also served as a nominated member of Rajya Sabha. Nanaji was awarded Padma Vibhushan in 1999. Bhupen Hazarika was a playback singer, lyricist, musician, singer, poet and film-maker from Assam, widely known as Sudhakantha. He mainly wrote and sang in the Assamese language. His works were marked by humanity and universal brotherhood and have been translated and sung in many languages. He also served as a channel to introduce the culture and folk music of Assam and Northeast India to Hindi cinema at the national level. Q. The 2019 Bharat Ratna award has been bestowed upon which former President of India?